With the launch date now getting near(1st November 2016), Microsoft unveiled the First look and shared more information regarding Dynamics 365, the next generation intelligent business apps in the cloud. Right now, there are obviously a lot of excitement, questions, confusions, concerns among existing customer and user base of the legacy On premise applications (GP, SL, NAV & AX) as well as prospective customers and the partner community. All of us probably are wondering how our investments is Microsoft Dynamics is going to shape up in the new Dynamics Cloud era . In this post today, let us understand and decode some of the key facts about Dynamics 365, that were unveiled and discussed in Summit 2016 held at Tampa, FL. Microsoft unveiled the First Look of the next generation cloud business apps, all under one unified platform called Microsoft Dynamics 365. Below are some of the key take away from the first look. This perfectly aligns the Dynamics business segment with the Cloud First, Mobile first strategy of Microsoft and puts the Dynamics platform and business applications in the forefront of the Cloud and mobile innovation by Microsoft. This means customers will see faster and continuous innovations in the business applications and will get feature updates frequently, and get capabilities connected to the entire breadth of Microsoft Cloud apps such as Office 365, Azure, Cortana Intelligence Suite, Power BI, PowerApps, Flow, IoT, Machine Learning and more. Let us now understand what each of these business apps really are under Dynamics 365. Dynamics 365 For Sales: It is the Sales component/module of Dynamics CRM Online. Dynamics 365 For Customer Service: It is the Customer Service/module component of Dynamics CRM Online. Dynamics 365 For Field Service : This is the Field Service component/Module of Dynamics CRM Online. Dynamics 365 For Project Service Automation: This is the Project Service component/module of Dynamics CRM Online. Dynamics 365 For Marketing: Microsoft recently announced that it fully will integrate Adobe Marketing cloud with Dynamics 365 and make it the preferrable marketing app for Dynamics 365. Dynamics 365 For Operations: This is the New Dynamics AX (AX 7) ERP that we all are familiar with. This is where most of the customers/prospects might get confused. 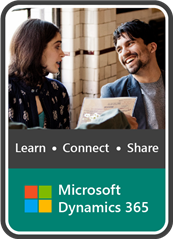 The name “Dynamics 365 For Operations” misleads a little bit. This business app is really targeted for the enterprise customers and obviously includes full advanced Financials functionality as well of AX 7. With this app, customers do NOT need to buy other Financials apps such as “Dynamics 365 for Financials”. “Dynamics 365 for Operations has everything you need to manage your Operations, including Core Financials. Hopefully Microsoft will rename this app to “Dynamics 365 For Operations & Financials” at some point :). Dynamics 365 For Financials: This is the new Financials app of Dynamics 365(Earlier known as Project Madeira) and is primarily targeted for SMB customers in most cases. This does not include any of the advanced Operations functionality such as Manufacturing, E-commerce(Retail), advanced supply chain etc. When we say, this is targeted more for the SMB customers, we might argue whether Microsoft thinks that SMBs do not have “Operations” ? Of course some of them do and Microsoft is probably thinking those customers should chose Dynamics 365 For Operations app instead of the Financials app. We will have to wait and see how this shapes up. Dynamics 365 provides a unified user experience across all different apps and seamless transition. So you don’t have to spend more time navigating between systems. These apps are also seamlessly integrated to exchange data and play nicely with each other. For example when a Sales rep creates a Sales order from a confirmed sales quotation in the Dynamics 365 for Sales app, it will create the Sales Order automatically in the Dynamics 365 for Operations app. Very powerful. I am excited to test more scenarios and how the data flow looks between these apps ! A brand new HOME page showing you a view of all apps you own under Dynamics 365 and a direct access to Microsoft Appsource. Appsource is where you can go explore more purpose-built industry solutions(Apps) built by various Microsoft partners. When you discover new business apps, you can also see partners that are capable of implementing those apps. And Probably a new LOGO for Dynamics ? The Dynamics platform is most certainly getting a new logo which may look something like below. Power BI is embedded throughout the Dynamics 365 experience. As a result, you will get business insights for each of your business areas at one central dashboard page, still powered by Power BI. Dynamics 365 is inherently MOBILE with full offline mode support! (For Windows, android and iOS). This is probably one of the biggest feature update of Dynamics platform. With Dynamics 365, Customers can have mobile apps (Several Out of the box) and can create apps literally for any area/App. You can check my earlier post HERE to learn more about the mobile apps framework of Dynamics 365 for Operations (Dynamics AX). Integration of Dynamics 365 and Office 365 Better than ever before. Traditional On-premise business apps (NAV, AX, SL etc) always had integrations with Office 365 and could exchange data with Microsoft word, excel outlook. But the scenarios and capabilities were somewhat limited. With Dynamics 365, the integration goes to a whole new level and provides users a full-blown integration. For example, you can drill into the details of a customer record of Dynamics 365 from within your Outlook email and even see further details such as associated sales opportunities, and launch the Dynamics 365 for Sales app/Other apps from within the email. Sleek !! A lot to explore and learn. Artificial Intelligence in Dynamics 365. Microsoft and other big companies like Google, Amazon and more are betting their future on Artificial intelligence. With Artificial intelligence built-in in Dynamics 365, you can now get product recommendations, have your office 365 data(Such as email communications and more) automatically populated into Dynamics 365 Sales or even get proactive automated personal sales assistance with warnings and recommendations when needed . This certainly involves a good learning curve for me and understand what are various things we can do with it. New SaaS service called “Dynamics 365 for Customer Insights“ announced under Dynamics 365. This app/service is built on top of core Azure and Cortana Intelligent data services and it can connect to your Dynamics 365 data and literally any other data source, to help you build a 360 view of your customer and better understand and engage with your customers in real-time. Question: Do customers need to pay to use this Service ? I do not know and we will need to wait and watch. What will happen to the existing customers using AX 2009 or AX 2012 On-premise versions: There is no immediate impact for these customers. Microsoft will continue to support AX 2009 until 2018 and AX 2012 for even longer time(2021, Find more info on my earlier post). There may also be feature updates released for AX 2012. However, Microsoft also revealed upgrade plans for existing customers. You can learn more in detail at the blog post by MSDynamicsWorld.com HERE. Long story short, customers using AX 2009 can start evaluating their upgrade options with assisted upgrade tool for AX 2009. These tools are in preview now and when released, it will have the capabilities to do the heavy lifting for you for the upgrade. I assume, while the tool can help these customers to a great deal, there will still be good amount of work that needs to be done to make these upgrades successful. For Customers using AX 2012, the upgrade path will be comparatively easier given the fact that schema and underlying business logic of AX 2012 and AX 7 are pretty much same. The upgrade assisting tools for AX 2012 may be available around March of 2017. Need to wait and watch. More news on Common Data Model and surrounding Apps: Many of us probably know what is the Common data model and the role it has to play in the new Dynamics era. CDM basically is intended to surface data that is stored within Dynamics 365 across all the different business apps (Sales, Marketing, Operations etc.) into a set of data entities that can model the data between these different apps. It can also connect to entities outside Dynamics 365 such as Office 365 and more. As Microsoft clarified further in AXUG conference, think of CDM as a parallel data repository and will sync with Dynamics AX and other database of different business apps of Dynamics 365.Then services like Microsoft PowerApps and Microsoft Flow can use this to create powerful events automation and business apps connecting multiple applications and services. What is coming in Dynamics 365 For Operations and it’s roadmap: There are a whole lot of new features and capabilities coming to the Dynamics 365 for Operations(Dynamics AX 7) app in the fall release (November 2016). Below are some of the key features that you will see in the fall release. Hope this was a good summary of Dynamics 365 announcements at Summit this year. We all have a long way to go and learn the cool new features and services and be ready to sail through the cloud era. Project Services Automation(PSA) in Dynamics 365, What options are available and what is best for you!